Bouygues Immobilier Polska Sp. z o.o. has once again chosen BatiPlus to be the Substitute Investor for its investment. Our team will be representing the interests of the Investor and supervise the whole process of the construction of the “La Melodie” multi-family building complex on Targówek, Warsaw. On the plot on Św. Wincentego Street, near the planned Trocka station of the subway, a complex of two 5 storey buildings will be constructed along with the separated inner yard, footpaths and the green areas. It will house a total of over 220 flats. The estate is fitted with a monitoring system. A colorful playground with a climbing wall and a special blackboard for chalk drawing were planned for the little ones. The residents will also have the chess tables and bike stands at their disposal. The buildings’ façades will be kept in classic white with the shades of grey, enriched by yellow accents. In reference to the name of the estate, each staircase has been named after a different musical key. 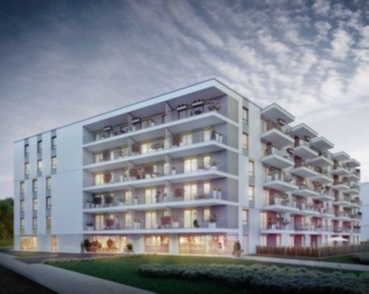 La Melodie is our second residential investment of Bouygues Immobilier outside of France which has been granted a prestigious HQE International (Haute Qualité Environnementale) certificate – the eco-friendly high quality construction. A number of diverse solutions have been implemented, which are both eco-friendly and influence the comfort of the residents. For more information regarding this investment, please visit the Bouygues Immobilier Polska website.